Through the use of laser scan, the project team was able to deliver this quick turnaround project within budget and on schedule. 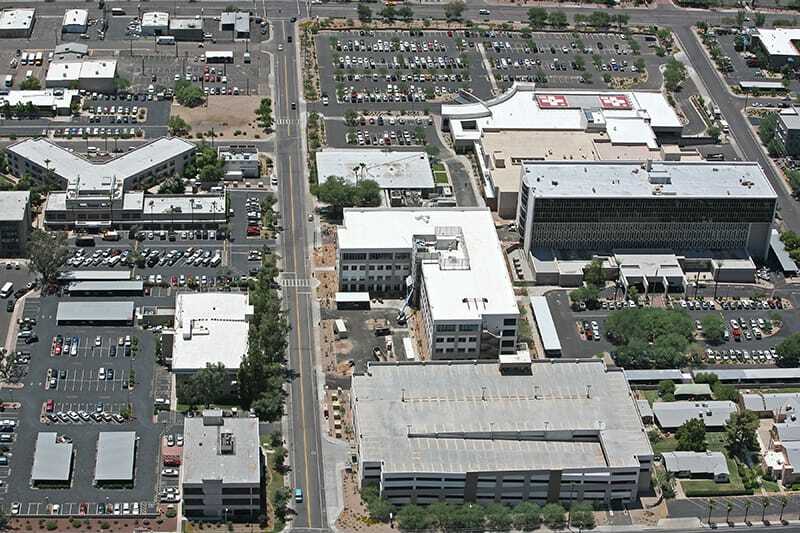 Gilbane served as Construction Manager at-Risk for the construction of a new central utility plant at John C. Lincoln’s (Now HonorHealth) Medical Center Campus in Phoenix, Arizona. This fast track design encompassed 15,500 SF of space on the campus with a 7,900 SF facility. 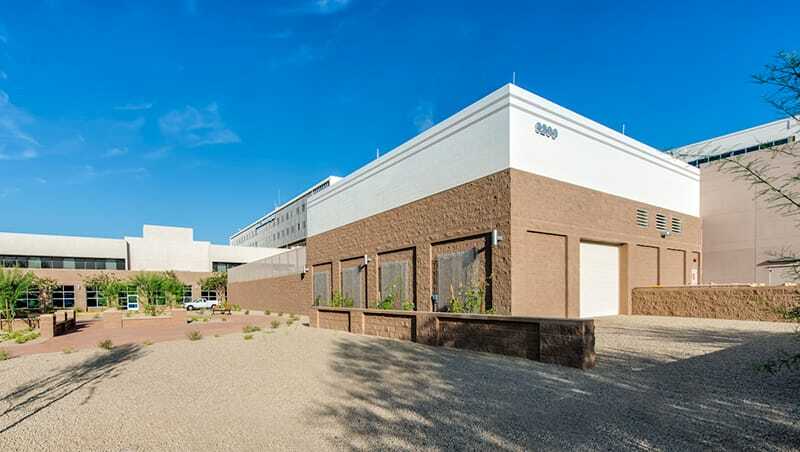 The project included the demolition of an existing medical office building on the hospital campus, temporary utility connections, relocation of underground utilities, and the construction of a new central plant building to increase capacity for future campus expansion. The new central utility plant contains chillers, pumps, boilers, cooling towers, emergency generators, electrical distribution, and necessary support components. 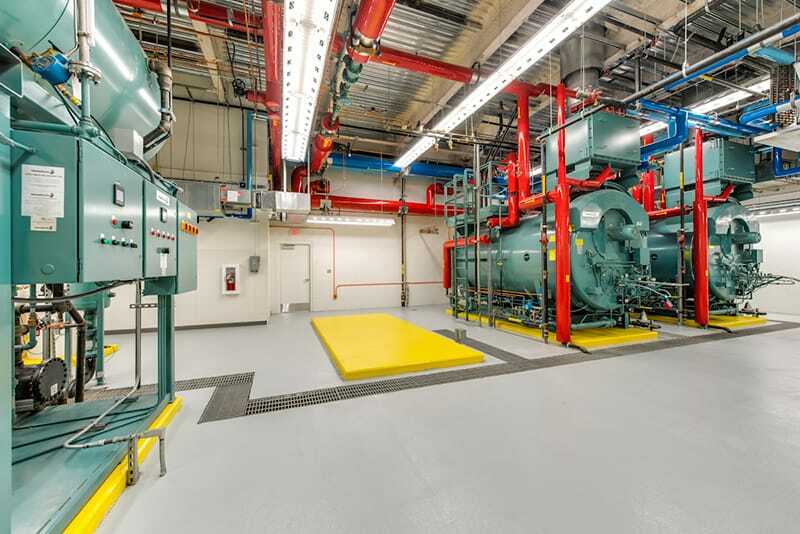 The central plant feeds chilled water and steam to heating and cooling systems throughout the hospital, for air conditioning, sterilizers and kitchen equipment. The existing central plant in the basement of the hospital was demolished and the existing equipment was relocated and/or replaced. HonorHealth John C. Lincoln Medical Center is a 266-bed, not-for-profit community hospital, one of two within the John C. Lincoln Health Network. Gilbane proposed to use an existing 900 ton cooling tower in lieu of renting expensive temporary cooling towers. This reduced equipment rental costs resulting in significant savings and allowed facilities management time to find a buyer for the cooling tower.